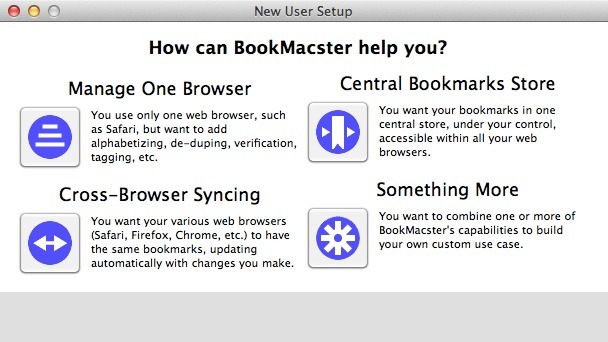 BookMacster 2.8.7 – Organize and manage bookmarks, sync across browsers. Next story Principle 4.3 – Create animated and interactive user-interface designs. Previous story uBar 4.0.8 – The Dock replacement. Synkmark 2.8.3 – Keeps Safari, Chrome, and Firefox bookmarks in sync. BookMacster 2.5.6 – Organize and manage bookmarks, sync across browsers. Markster 2.5.6 – Centrally store bookmarks to facilitate syncing.